Martin-Ray Laundry has been offering commercial laundry equipment for sale throughout Colorado, New Mexico, Wyoming, west Texas, and western Nebraska for decades. Since our beginning in 1988, we've become a leader in vended laundry, multi-housing and on-premises laundry products and services. As the premier commercial laundry equipment supplier and service provider in the Rocky Mountain region, we’re proud to sell and install the highest quality commercial laundry and laundromat equipment available on the market. We take pride in providing efficient and reliable commercial laundry solutions, which is why we are an authorized dealer for Speed Queen, Milnor and Chicago Dryer laundry equipment. We’re proud to supply leading commercial washers, dryers and accessories, as well as technology that improves user efficiency and reduces water use. Equipment like Chicago Dryer’s CHI-Touch and Milnor’s MilTouch™ are touch control systems that provide machine status updates, automatic operation capabilities, built-in diagnostics and more to optimize usability. In areas that are facing water restrictions, finding ways to use less water is critical. For this reason, we’re proud to offer energy and water saving technology in the form of Speed Queen Quantum Gold Controls and Milnor RinSave®. As the only commercial laundry distributor to offer Quantum Gold Controls, users can turn to Martin-Ray Laundry Systems to put this cutting-edge machine management technology to use to start better utility cost management. Our variety of vended laundromat and on-premises laundry accessories, ranging from soap machines to folding equipment and chairs, enables us to expand our offerings to a wide variety of professionals and industries. 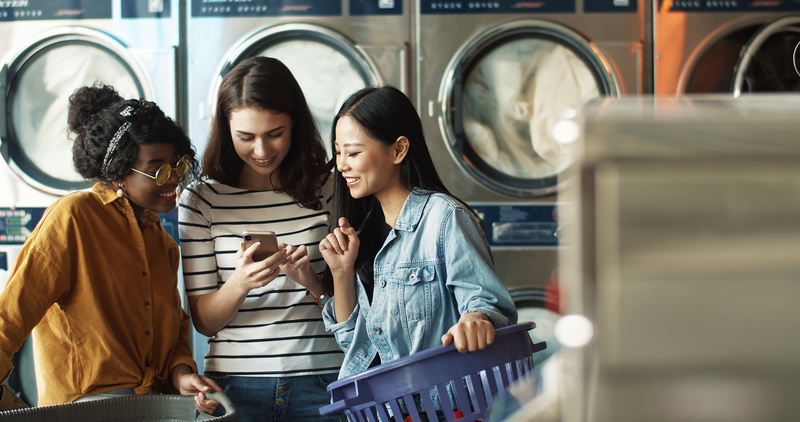 Whether you’re a new vended laundry business owner or an on-premises laundry professional looking to upgrade the equipment at your vended laundry or OPL facility, we’ll provide you with the commercial laundry equipment you need to succeed. At Martin-Ray Laundry Systems, you are our number one priority. This is why we offer our customers ongoing support, service and various financing options. We can finance nearly any piece of laundry equipment. Our team is happy to work with you to create affordable monthly payment plans, and is able to assist you with starting a new laundromat business. We also offer various laundry services for our customers, including , sales, service, parts and a team dedicated to prompt customer service. With locations in Denver, Colorado and Albuquerque, New Mexico we’re able to provide sales and service to a large area including Colorado, New Mexico, Wyoming, west Texas and western Nebraska. Contact us today to discuss your coin laundry, multi-housing laundry or OPL needs.